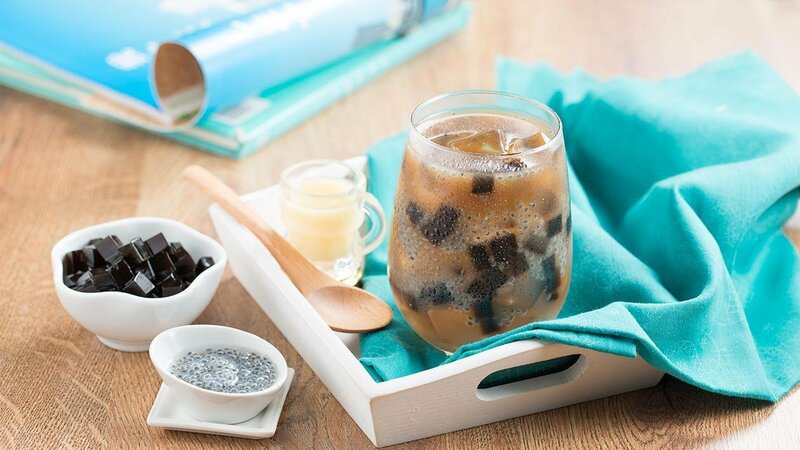 Freshen your sunny day with a unique combination of tea, milk, and black grass jelly. Put Lipton A100 Yellow Label Teabag 2g into the hot water about 3 to 4 minutes. Prepare serving glasses. Then, pour the tea into the glasses and add the sweetened condensed full cream milk. Add the grass jelly, basil seeds and some ice cubes.